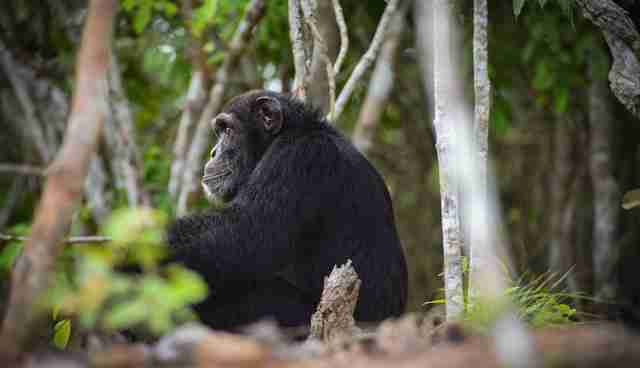 Everyone had forgotten about the loneliest chimp on the planet - but that's changing fast. 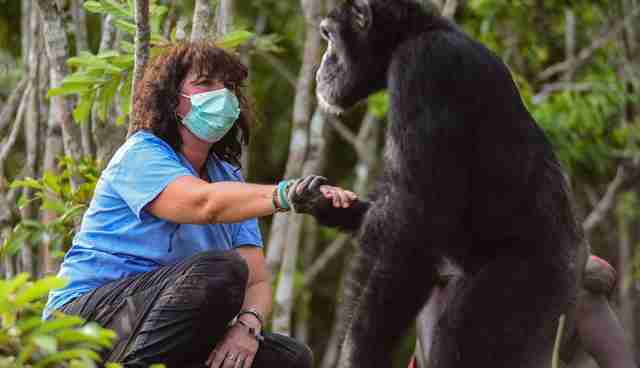 The only survivor of 20 chimps abandoned on an island in 1983, Ponso recently met a woman who is determined to rescue him. 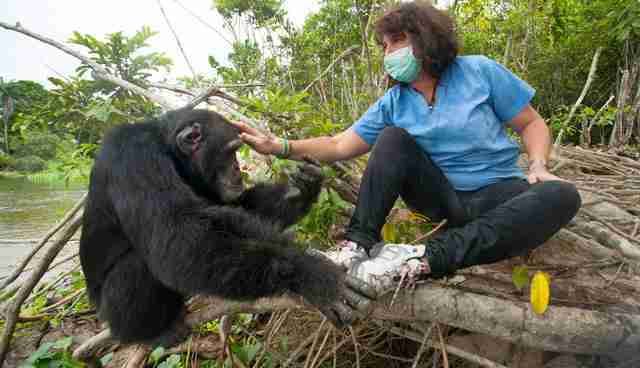 When Estelle Raballand, founder of the Chimpanzee Conservation Center (CCC) in Guinea, first arrived on Ponso's island in the Ivory Coast in February, Ponso welcomed her with open arms. 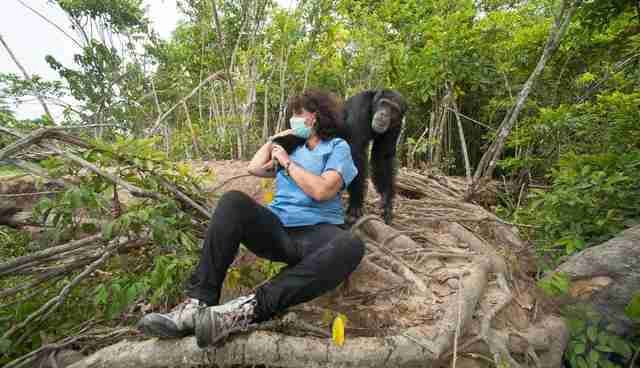 Raballand returned again this April to test the 40-year-old chimp's health. People all over the world following Ponso's story are hoping that, if he's shown to be healthy, he might be able to be liberated from his solitude. No one knows for sure what will happen if the blood tests Raballand conduct show good results - but hopefully Ponso's loneliness is about to come to an end. Ponso's banishment is the result of a decades-old decision made by the New York Blood Center (NYBC). 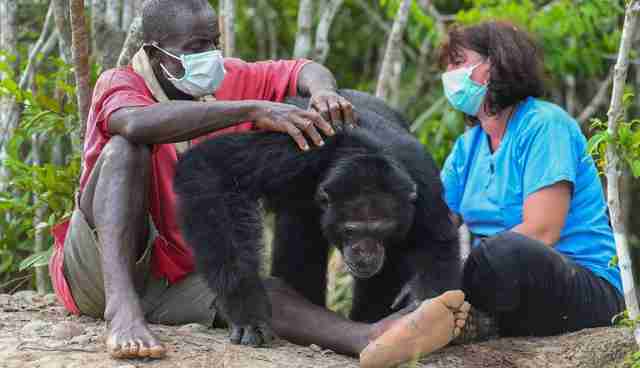 After fulfilling his role as a lab subject for medical tests, Ponso was dropped off over 30 years ago, along with 20 other discarded chimps, on an island near Grand Lahou. The chimps were left without food or water. After years in captivity, they desperately struggled to survive in the wild. Ponso's mate and their two children struggled to survive on their own even though most of the chimps succumbed to starvation and illness. In 2013, Ponso's whole family died. 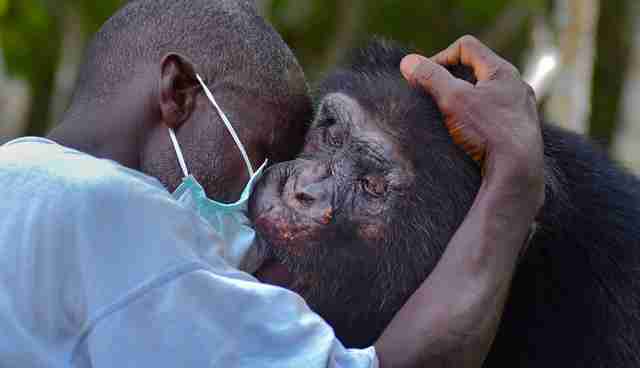 Ponso has been kept alive thanks to a villager named Germaine Jamal, who has brought the chimp food and water the past few years. Jamal has also seen Ponso through the darkest of times. When Ponso's family died, Jamal said that he saw Ponso throwing dirt over their bodies as if to bury them. In the summer of 2015, concerned animal lovers organized a new effort to help save Ponso once and for all. Raballand's visit is part of this determined new movement to bring Ponso to a sanctuary. "I am working with the coalition, talking with sanctuaries and the government of the Ivory Coast to make a future for Ponso," Raballand posted on Facebook in February. "We have to secure a place for him in the Ivory Coast or outside in a sanctuary, preferably in West Africa." But paving the way for Ponso's freedom isn't easy. "Sanctuaries are overcrowed [sic] and underfunded. Moving him requires funding," Raballand wrote. While his future is uncertain, Ponso took advantage of having company during Rabelland's latest visit - and Raballand was happy to play around with the spunky chimp. Even after all he's been through, Ponso hasn't forgotten how important it is to have fun with a friend. Eventually, Raballand had to return home, with the blood samples that will spell Ponso's fate. But it wasn't easy to leave Ponso behind. "Today we walked around the island," Raballand wrote on her last day with Ponso. "He was holding my hand. My heart just melted." 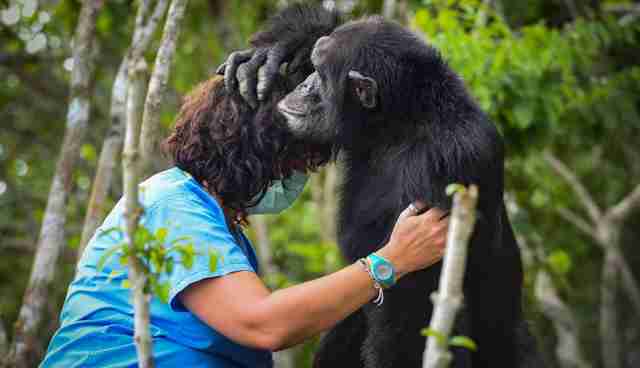 Ponso, the chimp everyone had forgotten, needs your help: Click here. Correction: This story has been updated to reflect that Raballand is the founder of CCC, not currently the director.